Under-exposing a photograph can dramatically change its nature. We see things we might not notice otherwise. 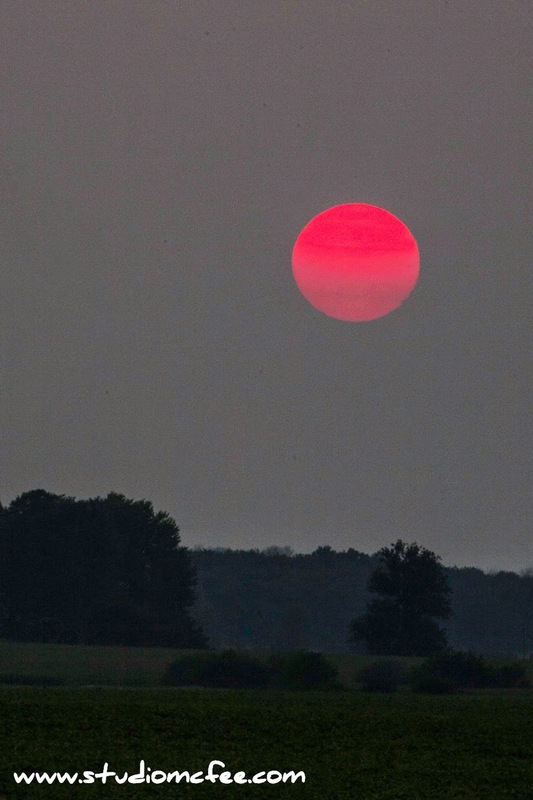 In this case, the setting sun takes on the appearance of an orbiting moon glowing red in the twilight of an Elgin County summer's day.